Shadow drops down onto the ground, and looks around. This new place seems little different from the last. The ground all around is nothing but dull, infertile dirt, riddled with countless craters. The sky has been completely covered by ominous, smoky red clouds, even darker than before. Shadow begins to move forward, eyeing all around as he goes. Shadow turns with a start to the source of the voice. “Sonic! ?” Standing atop a tall mound of dirt and rock, back turned towards Shadow, is Sonic the Hedgehog. Suddenly, Sonic turns. A long scar runs down the left side of his face, passing over his dull, grey left eye. “Yeah, like I haven’t heard that one before.” Shadow gasps, as the half-blind Sonic begins to take a closer look at him. “You…you look like him. He sent you, didn’t he!? Well, I’m not letting you go back to him!” Sonic dives down at Shadow with top speed. “I won’t take any of your lies!” He charges a spindash, and launches at Shadow with full force. Sonic sighs. “Follow me.” He begins to walk off, and Shadow obediently follows. 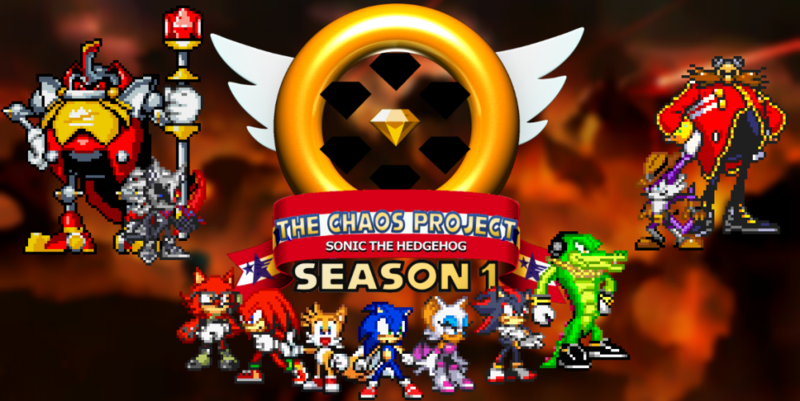 This entry was posted in Preview and tagged Birth of Blacklight Arc, Blacklight the Hedgehog, Chaos Emeralds, Ivo "Eggman" Robotnik, Shadow the Hedgehog, Sonic the Hedgehog by Chaos Project. Bookmark the permalink.